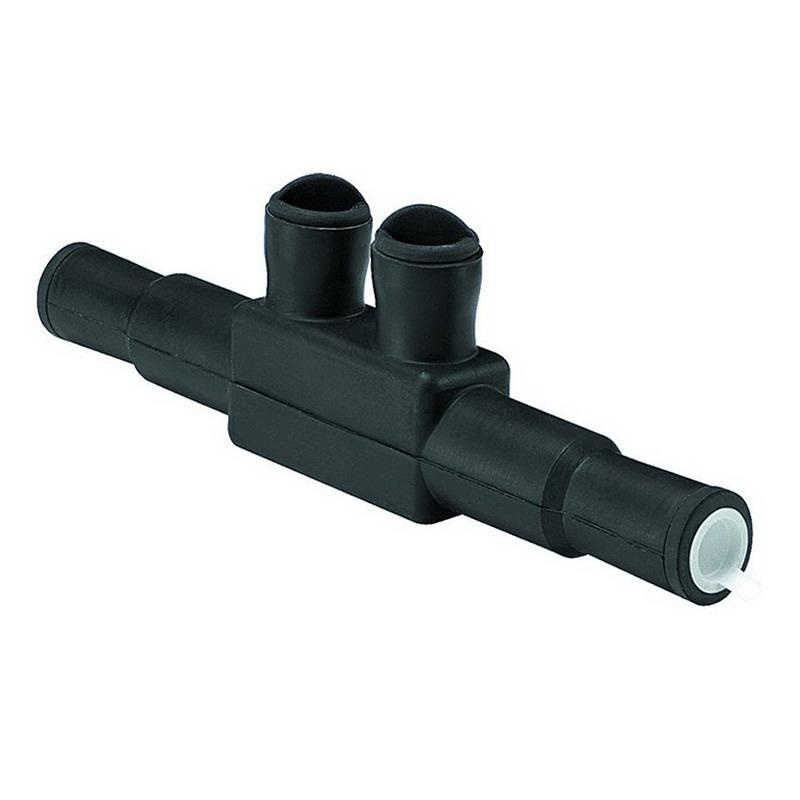 Ilsco 2-Port Type USPA-SS In-line water-tight splice accommodates conductors of size 10-AWG - 350-KCMIL. This dual-rated splice in black color, features aluminum construction and electro-tin-plated finish. It withstands voltage rating of 600-Volts. Splice features pre marked end insert that allows broad wire range. It comes with O-ring design screw cap inserts for proper installation torques. This splice has stud size of 5/16-Inch. It has torque rating of 350 lb-Inch. It withstands temperature rating of 90 deg C. Splice is UL listed, CSA certified and RoHS compliant.